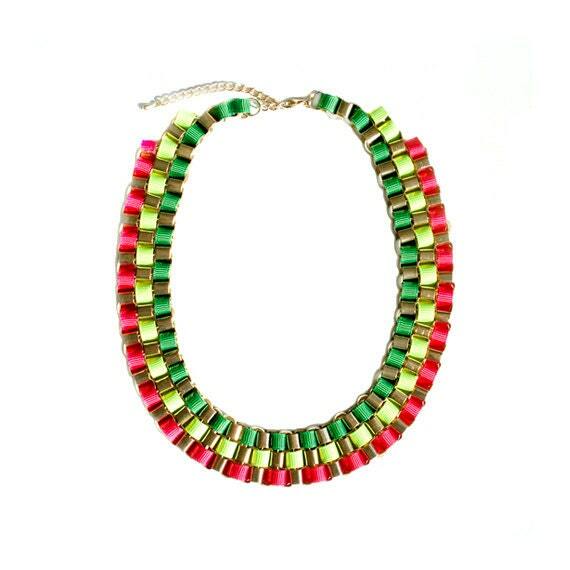 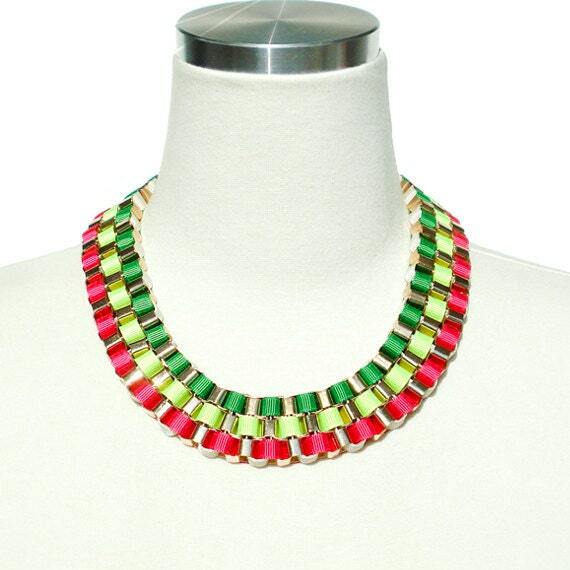 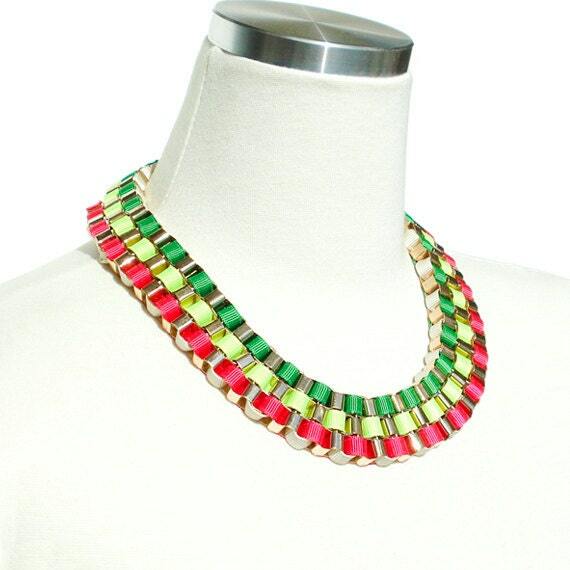 Make your day little brighter with this Color Block Box Chain Necklace! 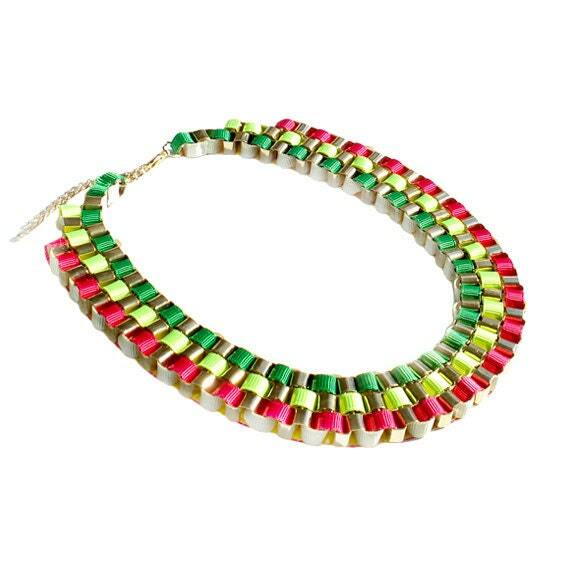 Amazing gold box chain necklace featuring a chunky chain with bright grosgrain ribbon detailing. 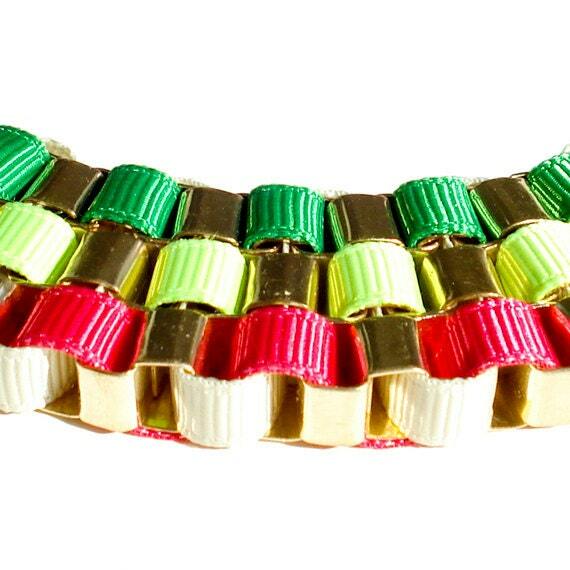 Grosgrain ribbon color blocking in Bright Green, Yellow and Pink combination is tasteful and chic in any occasion.